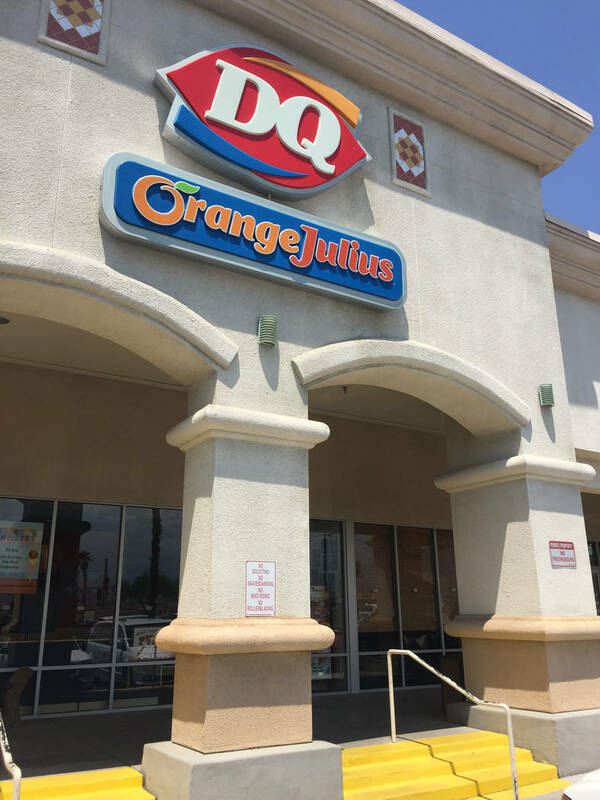 The local Dairy Queen in Pahrump is giving back to Nevada families by helping to fund critical pediatric treatments and services in July. Jeffrey Meehan/Pahrump Valley Times Dairy Queen is a participating store for Miracle Treat Day, scheduled for July 27, to help fund medical treatments for Southern Nevada children. Jeffrey Meehan/Pahrump Valley Times Dairy Queen is a participating store for Miracle Treat Day, scheduled for July 27. For each Blizzard Treat purchased, $1 or more goes to help fund critical pediatric treatments and services in Nevada. 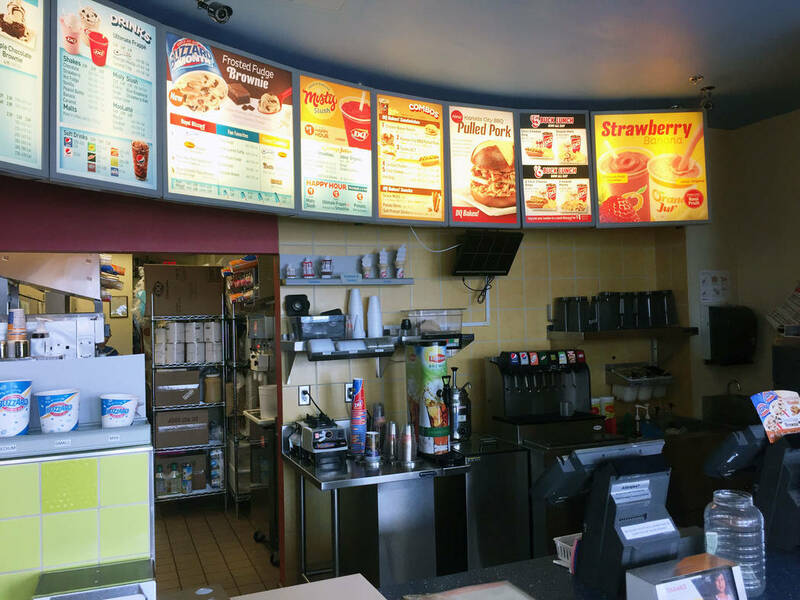 The Dairy Queen store at 20 S. Highway 160, Suite 109, is a participating store on Miracle Treat Day. On July 27, the day of the event, $1 or more will be donated from the sale of each Blizzard treat sold that day to the Children’s Miracle Network Hospitals (CMNH). The monies collected will stay within the region, whichever CMN Hospital is closest. Pahrump’s hospital network is Dignity Health’s St. Rose Dominican Hospitals in Henderson. Nationally, CMNH has a network of 170 hospitals, including St. Rose Dominican. Overall, Dairy Queen operators across the U.S. and Canada raised over $4 million during the single-day event in 2016. “Funds raised during Miracle Treat Day fund critical treatments and health care services, pediatric medical equipment and charitable care to help save and improve the lives of those children,” according to a news release from Minneapolis-based American Dairy Queen Corp., whose parent company is International Dairy Queen Inc. (IDQ). IDQ is a subsidiary of Berkshire Hathaway Inc., headed by Warren Buffett —also owner of NV Energy in Nevada. Across the U.S. and Canada, there are over 6,700 Dairy Queen locations. The Dairy Queen brand has raised over $125 million since 1984 for charity through fundraising efforts through the Miracle Treat Day and other initiatives, according to a release from the company. CMNH, through its efforts since 1983, has raised more than $5 billion. In Southern Nevada, the Children’s Miracle Network Hospitals have raised more than $13 million for St. Rose Dominican, according to St. Rose’s website. The hospital system partnered with CMNH in 2005. According to St. Rose Dominican’s website, all proceeds raised in Southern Nevada go toward St. Rose Dominican’s Pediatric Centers. St. Rose collects monies through campaigns such as the one at Dairy Queen, though it also derives monies through events such as the Torch-Relay Walkathon, sponsored by Marriot. The next event will be held on October 27 and it starts at the Marriot Grand Chateau at 75 E. Harmon Ave., just east of Las Vegas Blvd. South and Harmon Avenue. The International House of Pancakes (IHOP) held its National Pancake Day in March to help support CMN Hospital’s efforts. For information on how to donate or to create your own campaign, head to the Children’s Miracle Network Hospitals website and click on the how to help tab.